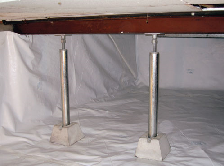 Daniel had used Southeast Foundtion and Crawl Space Repair in the past to fix it home with our Push Pier System. Daniel was such a happy customer if called us back to check out his crawl space for high moisture levels. Our inspector Patrick Hannigan met with Daniel to see the best way to fix the high moisture problem. The best solution was our CleanSpace Encapsulation System using our 20 mil liner, SilverGlo, SmartSump and a SaniDry CX Dehumidifier. Daniel is one happy customer and recommends SEFR to anyone who is having a high moisture or foundation problem. Carey contacted Southeast Foundation & Crawl Space Repair because she had a damp smell in the home that she thought was caused by moisture issues in the crawl space of her home in Washington, NC. Southeast Foundation & Crawl Space Repair inspector Andy met with Carey to go over the crawl space of the home. Andy found that Carey's problems were due to high moisture and standing water and the best solution would be to seal off the crawl space from the earth's ground with the CleanSpace Encapsulation System. Our crew installed the CleanSpace System by installing the SilverGlo Paneling of the perimeter walls to insulate the crawl space, then they installed the CleanSpace Liner along with a SmartSump and Sedona Dehumidifier. They also installed the SmartJack System to stabilize and raise part of the floor that had started to sag due to the high moisture level. Carey is thrilled with the work that Southeast Foundation & Crawl Space Repair did to fix her home. Jane contacted Southeast Foundation & Crawl Space Repair after finding online after doing a search for attic insulation in her area of Washington, NC. Our crew lead by our owner Christopher Reeves removed the old insulation and installed our cellous insulation. Jane is thrilled with the energy saving that Southeast Foundation & Crawl Space Repair was able to accomplish by installing the new insulation in her attic. We have water standing under part of our house. Need estimate for crawl space waterproofing and floor repair. 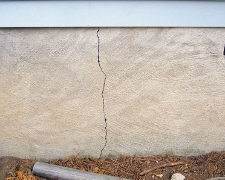 Also possible foundation settlement needing repair. Need a low crawlspace cleanout, drainage system, and vapor barrier. Will not be a pleasant job...access only 18". I need to get 436 square inches of flood vent opening installed in my garage and am looking for an estimate. David S. Blounts Bay Lane. The number one key ingredient for the CleanSpace Encapsulation System is the liner which is a super- durable and 20 mil plastic sheet material designed to permanently prevent moisture, outside air, and pests from getting into the crawl space. The SilverGlo Insulation Panels are designed with a high- efficiency graphite- impregnated insulation with a built-in radiant heat barrier surface. By installing the CleanSpace Encapsulation System we are able to save the homeowner money by sealing the HVAC air from escaping into the outside world. Uneven flooring both upstairs and downstairs. I am trying to sell the house and this has been a turn off for many buyers. Our 2 story farmhouse has foundation issues--it has brick underpinning, but its original pillars are leaning and there are not enough supports. House has settled esp. after the last several hurricanes. Mortar has crumbled from original pillars also. Please do not share address or info Thanks.